Valentine’s Day will be here in the blink of an eye and everyone is planning kind and thoughtful gifts for their significant others. One perfect gift that you may not expect is giving your Valentine a beautiful, intimate master bathroom. A master bathroom is a very personal, private space where you and your significant other get ready for the day ahead and relax with a hot shower or bath. Your bathroom must be both beautiful and functional to serve your needs. A bouquet of flowers on your bathroom countertop goes a long way to brighten up the space. Candles are perfect for creating some ambiance and relaxation during a romantic soak in the tub. Hang small pictures or paintings on your bathroom walls, and choose an ornate mirror for extra aesthetics. Adding these kinds of décor is perfect for creating a soothing, relaxing bathroom atmosphere. You and your partner rely on several toiletries every day, with everything from toothpaste and hand soap to conditioner and sweet-smelling body lotion. Keeping your bathroom stocked with high-quality toiletries not only ensures you don’t run out of supplies when you need them most, but gives you and your partner the daily comfort you need every day. Choose toiletries from brands your partner loves or ones with their favorite scent to make the gift truly thoughtful and special. Low light does a lot to add a sense of intimacy and ambiance to any room, including your bathroom! Installing dimming lights does not require a professional bathroom renovation! You can buy light dimming kits at local home improvement stores, and switch out your bathroom bulbs for dimm-able ones. This will allow you to turn the lights up bright for brushing your hair in the morning and keep them low in the evening when getting ready for bed. When you want to complete a custom bathroom renovation, trust Craft Master Home Design to give you the bathroom of your dreams! 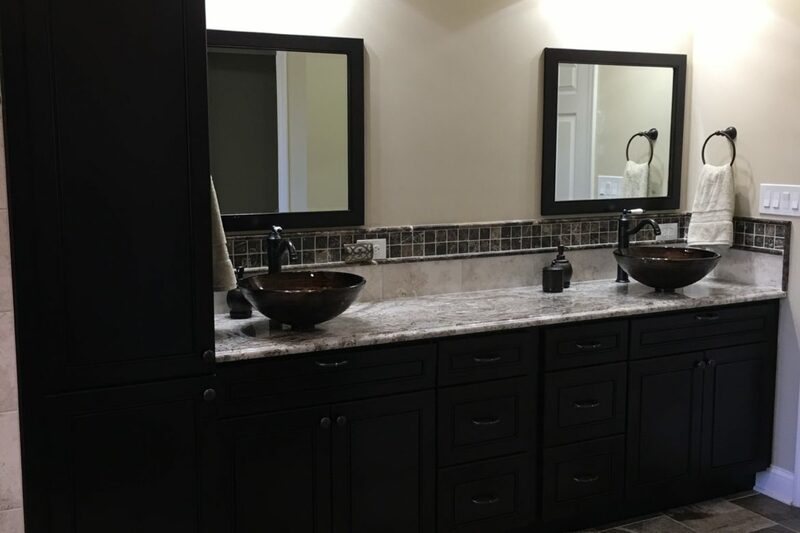 We offer custom bathroom renovation services in Northern Virginia. Our renovation experts go above and beyond to meet your design goals, and we work closely with you at every step of the renovation process.